First off WOW! 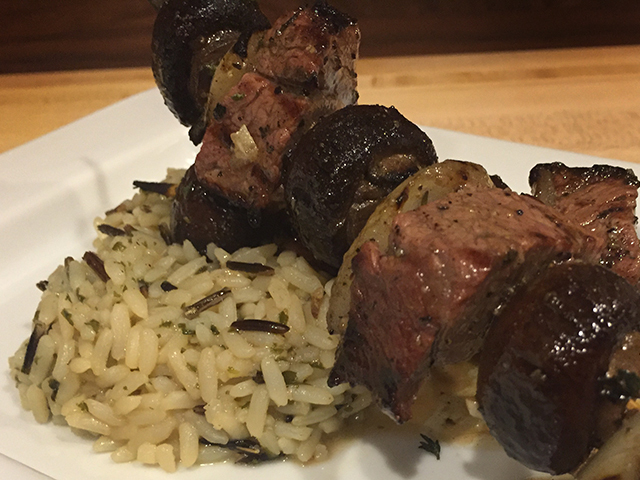 This is a must try recipe, the perfect balance of garlic and herbs brings out the rich taste of the tri tip. Add some portobello mushrooms, onions and of course some smoke and you have a meal fit for a king… or your beloved family. 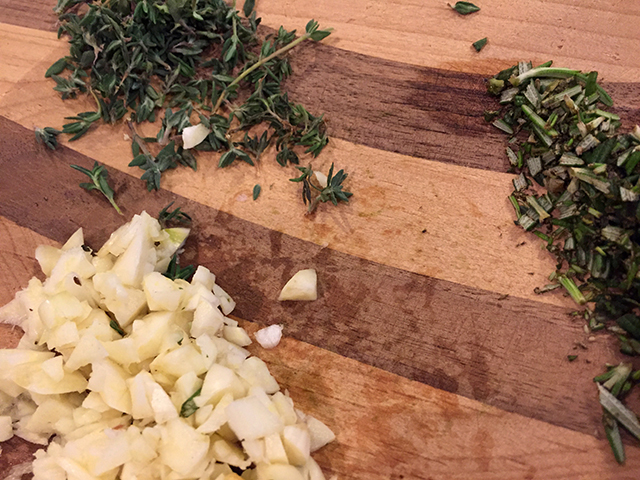 First mix up your marinade and set aside. Then trim your tri tip of fat and cut into 1 inch cubes. Slice the onion into large square pieces and assemble skewers with a piece of meat, an onion slice and a baby portobello mushroom. 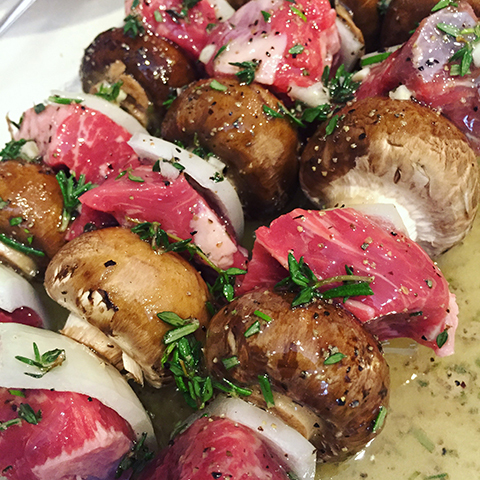 Place skewers in a large casserole dish and pour marinade over. 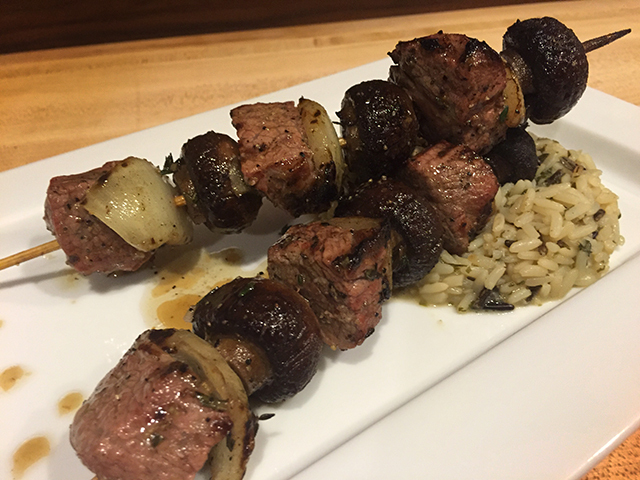 Refrigerate for 5-6 hours rotating skewers hourly. Next set your GMG to 200f and smoke the skewers for 1 hour. 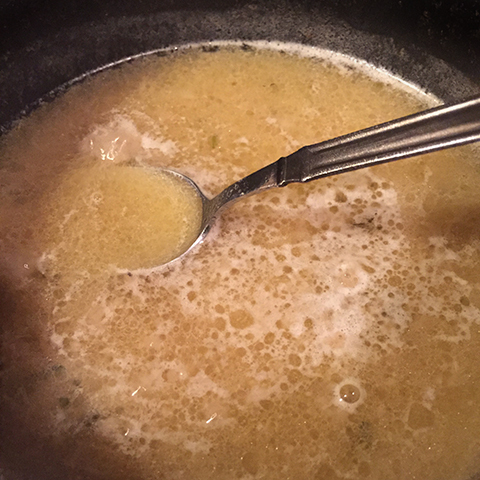 During the smoking process pour remaining marinade into a sauce pan and add 1 tablespoon of butter, bring to a boil and simmer on low for 30min. After smoking remove the skewers and turn your GMG to 400f. 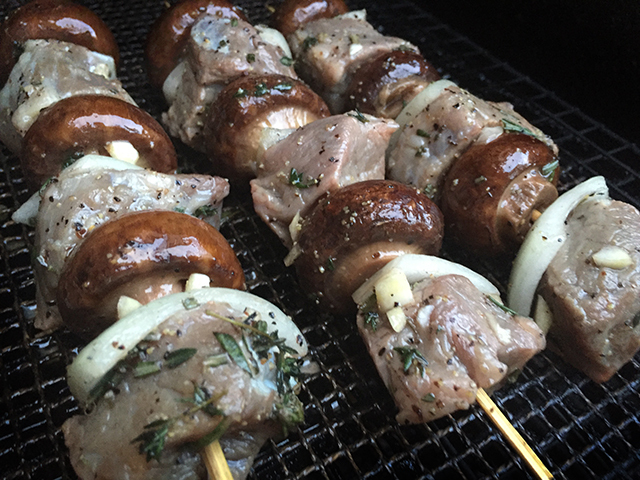 Place the skewers back on the grill and sear for 10-15 min or until meat reaches 130-135f. Turn often and baste with butter marinade mix lightly (as to not cause flare ups). Remove and let them rest for 10 min. Serve over rice and sit back and watch the smiles happen.